You would certainly agree with the fact that your domain name is the online identity of your business. When you register a domain name, you own it completely which means that you can create and host your website and sell your products and services. This means that the domain name that you have registered is under your ownership and no one else can use it. Having said that, you also cannot ignore the fact that there are many other similar and close variations of the domain name that you have registered. For instance, you might have registered your domain name – mybusinesswebsite.com but there are also other variations of this domain name that are available to be registered like mybusinesswebsite.net, mybusinesswebsite.biz, mybusinesswebsite.in etc. It is definitely unrealistic to register all the domain name TLDs but you can think of register a few closely related ones, here’s why you should do that! If your business is doing really well, your competitors might consider registering domains with other extensions that you haven’t registered. For example, if you only have the domain name – mybusinesswebsite.in, they might register mybusinesswebsite.com or mybusinesswebsite.biz if these versions are available. 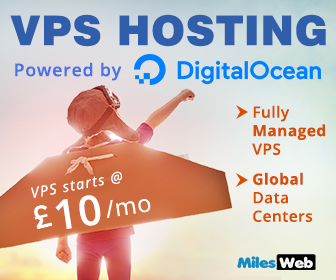 Even though your competitors might not use these domain names for hosting websites, all they will do is stop you from registering them. This can create a tremendous impact on your business, here’s how – If a person assumes that your website ends with a .com but if your domain name ends with .in, he/she will not be able to get to your website by typing mybusinesswebsite.com. 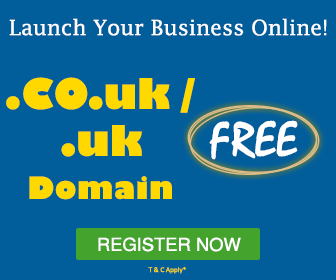 Another possibility is that if your business is international and if you wish to register new domain name for your business in UK, you won’t be able to register it if someone has already taken it. See the point? You lose out on opportunities to expand your business. 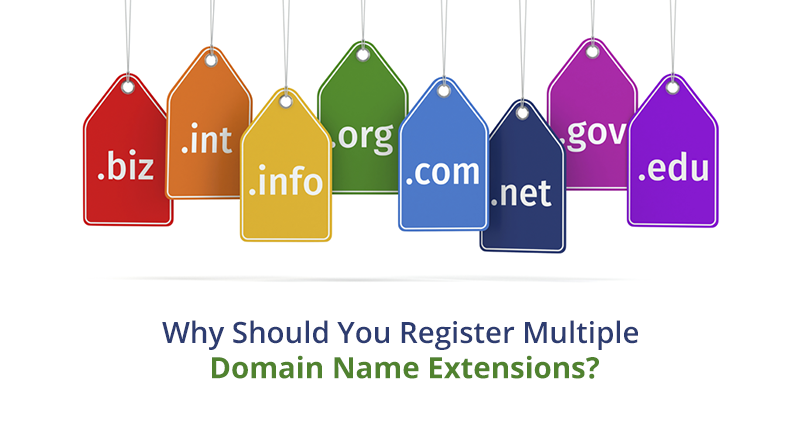 When you register for many domain name extensions, it is not necessary for you to create a website for all of them. It would be nice of you to do that but if you don’t do it, that’s perfectly fine. All you have to do is make sure that when people visit the other domains they are redirected to your main website. For instance, if your website is mybusinesswebsite.in, then all the other extensions that you have registered should redirect to this website. In this way, even if people accidentally type in the wrong domain name extension, they are redirected to your website. Therefore, all your potential customers who did not succeed in getting to your main website earlier will now be able to get to your website even if they type in the wrong domain name. This can be done with the common spelling mistakes of your domain names we well. For example, if your website name is mybusinesswebsite.com, then you can consider registering the domain name mybusineswebsite.com or mybusinesswbsite.com and if people type these domain names, they will be redirected to your website. Related : Why Can A New Domain Extension Be Good For Me? The search engines make use of the geolocation extensions for guiding people to search for businesses that are near to them. If someone in Australia tries to find a business in Australia, results will be displayed with websites that end with .au or .co.au. If you wish to expand the international reach of your business, you will benefit by buying various geological domain name extensions for the countries that you want to target. Even if you just register various domain name with various geological extensions and even if you don’t create websites now, you will be able to create new websites when those domain names later when you wish to expand your business. Apart from this, the other most important advantage is that you can create international websites in various different languages. you can sell products in various currencies and have a bigger market for your products/services. If your business is international and if you are targeting multiple countries, purchasing various country level TLDs like .com, .au, .in is a good idea. This is because the domains that have country specific TLDs secure a better ranking in the search engine result pages (SERP) in the respective countries. This step will help to give a boost to your organic search results. This is the time of a very tough competition and you should have a competitive edge to rise above the rest and this can be done by registering multiple domain name extensions. When people visit various websites, they do not generally remember every domain name along with its extension unless the website is really very popular. If you own multiple domain name extensions for your business, you can redirect the traffic of all these domain names to your own domain name and get the benefit. If your website is doing really well, your competitors or other people might try to take advantage of your efforts by registering your domain name with different extensions. If this happens, the traffic to your website might go to their website if your users happen to enter the wrong domain name extension. Don’t give them a chance to do this, register all the important domain name extensions yourself. Having more than one domain name extension for your website means more opportunities and a greater market for your business. Even though this looks like a worthwhile investment now, you will get the benefits in the long-run. Registering multiple domain name extensions is especially beneficial for the ecommerce websites as they can target many countries and a larger audience. You will benefit from this move even if you simple redirect the other domain name extensions to your main website. If you wish to transfer your domain name or register for multiple domain name extensions, you can do that with MilesWeb. MilesWeb offers amazing deals on domain name registrations along with a choice of multiple domain name extensions so start registering right away!